The Financial Services Department is an Administrative Service Department that usually does not directly interact with residents. All services in the department are organized to service other ACHA departments. Working with other ACHA Departments (mainly Executive & Development) identifies outside funding sources that will help us accomplish our mission. ACHA has mainly been successful in the Housing Development & Rehabilitation area. Produce the Conventional Program Operating Budget adopted by the Authority Board every year. 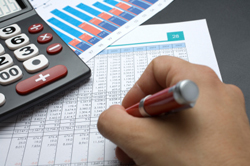 A Budget is a Financial Plan estimating your Revenue & Expenses for the next Fiscal year. 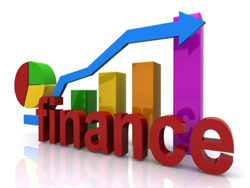 Works in cooperation with other ACHA Departments, (especially Executive & Finance) to make sound Financial decisions. In other words, make sure the costs not exceed the receipts. To present financial statements in conformity with general accepted accounting principles (GAAP) applicable to governmental units. The ACHA is considered to be an Enterprise Fund and uses the accrual basis of accounting, so revenues are reconized when earned and expenses are recognized when incurred. The Authority is subject to the regulations of HUD. These regulations prescribe Accounting policies and practices that, in some cases, differ from generally accepted Accounting principles. The Authority uses the direct charge-off method of recording uncollectible accounts. Responsible for the procurement of materials, services, and supplies for the maintenance, repair, and operations of the ACHA. Commodities and services include but are not limited to, construction materials, plumbing, electrical, computer hardware and software, office and janitorial supplies, pest control, legal and consulting services. All ACHA purchasing activity adheres to federal, state, and local laws and regulations. Conventional Public Housing - Under the Conventional Public Housing Program, the Authority rents apartments that it owns to low-income households. The Conventional Public Housing Program is operated under an Annual Contributions Contract (ACC) with the U.S. Department of Housing and Urban Development (HUD) and HUD provides Operating Subsidy funding to enable the PHA to provide the housing at a rent that is based upon 30% of household income. For the year ended September 30, 2008, the Authority converted to the asset management model within their Conventional Public Housing Program, and as part of that process, all Capital Program activity is also reported within the Low-Income Public Housing Program on the Financial Data Schedule. Housing Choice Voucher Program - Under the Housing Choice Voucher Program, the Authority administers contracts with independent landlords that own the property. The Authority subsidizes the family’s rent through a Housing Assistance Payment made to the landlord. The program is administered under an Annual Contributions Contract (ACC) with HUD. HUD provides Annual Contributions Funding to enable the Authority to structure a lease that sets the participants’ rent at 30% of household income. Mainstream Program Under the Mainstream Program, the Authority administers contracts to provide supportive housing for persons with disabilities with independent landlords. Capital Program - This program includes the Capital Fund Program. The Authority receives funding to rehabilitate and repair existing housing stock and to develop new housing. The Capital Program operates under annual grants from HUD. These grants are formula based and not competitive awards. The Capital Program is the primary funding source for physical and management improvements to the Authority’s properties. For the year ended September 30, 2008, the Authority converted to the asset management model within their Conventional Public Housing Program, and as part of that process, all Capital Program activity is reported within the Low-Income Public Housing Program on the Financial Data Schedule. Business Activities - This includes a myriad of partnerships created with outside investors designed to take advantage of tax credit regulations. These partnership allowed the Authority to undertake major rehabilitation and total rebuilding projects, that otherwise would not have been possible, due to limited funding. Section 8 Moderate Rehabilitation Program - A program of housing assistance payments administered by the Authority under the Section 8 Program. Resident Opportunities and Supportive Services (ROSS) - A grant program awarded by HUD to foster resident business opportunities and supportive services. CDBG and HOME Programs - Represents Community Development Block Grants and HOME Grants, which are HUD funds passed through the Allegheny County Department of Economic Development. KDHAP - Represents Katrina Disaster Housing Assistance Program, which is HUD funds used to provide temporary rental assistance to families displaced as a result of Hurricane Katrina. VASH - Represents Veterans Affairs Supportive Housing funding, which temporary combines HUD Housing Choice Voucher rental assistance for homeless veterans with case management and clinical services provided by the Veterans Affairs at its medical centers and in the community. ARRA – Represents the American Recovery and Relief Act more commonly know as “stimulus funding”. The authority received $7.7 million under the formula grant and also received competitive funding in the amount of $5.8 million comprised of three separate and distinct grants.